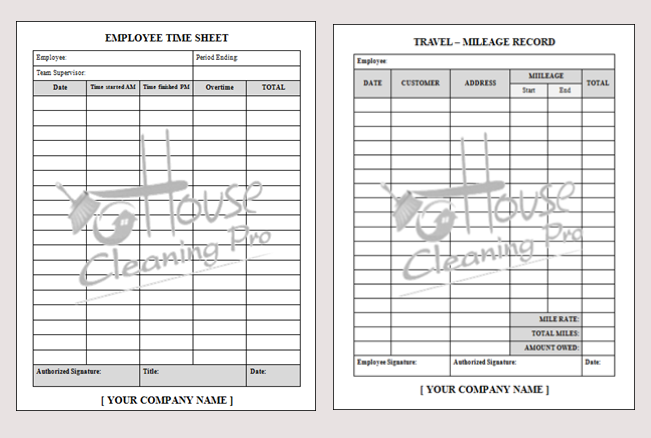 This form is a Word document that can be fully customized by you for the service you provide. Instructions are included with your order to edit and print the form. We provide you with an alternative FREE software you can use to edit these forms if you don’t have Word on your computer. This form is included in the Business-in-a-Box and the Custom Business Forms – Save with a bundled purchase! These documents contain the basic and most needed employee payroll information to track by pay period for a house cleaning business. These are templates that can be customized for your business.